A wave of green ripples in the breeze as Gertruda Domayo stoops over to pull a tangle of weeds from her soybean fields in Nakahegwa, Tanzania. She loosens the soil with her hoe, freeing the weeds with quick flicks of her wrist. The small pods on her evenly spaced plants will be ready to harvest in a month. 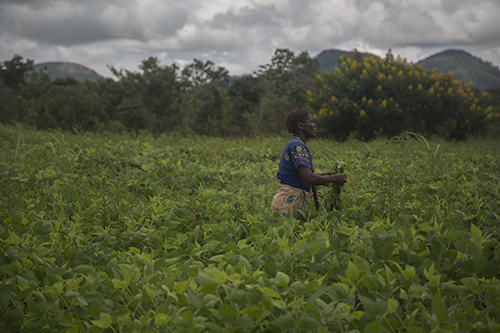 There has long been a market for soybeans in Tanzania, but before Catholic Relief Services' project Soya ni Pesa, farmers like Gertruda didn't profit much from the demand. The project means "soybeans are money"—and the name rings true for Gertruda and other farmers who can now get fair prices for their harvests. With funding from the U.S. Department of Agriculture, CRS is teaching farmers how to to sell their soybeans collectively and use row spacing, pest control and fertilizer for improved yields. "There is a big difference in the harvest before and after the project," Gertruda says. "Before this project began, the yield was very minimal because we were farming without modern technology. You could get at least 1½ sacks if you put in a lot of hard work. There was drought last year, but we still managed a good harvest compared to when we used to plant using traditional ways—I harvested three bags." Soybeans have been planted for years in Tanzania , but small-scale farmers could not attract large feed manufacturers on their own. Instead, manufacturers turned to imported soybeans from India or nearby Zambia to help meet demand. Meanwhile, middlemen dictated the price of the soybeans Gertruda and other farmers grew. "We used to sell haphazardly, without a plan." Gertruda says. "Sometimes they would buy our soybeans for [30 to 36 cents] for [a] big tin." To help change that, Soya ni Pesa grouped farmers into committees and linked them to markets to help them earn up to four times more for their beans. "[Soya ni Pesa] informed us about the genuine market prices, and so we ended up selling [at] a good price," Gertruda says. "We now know to hold on to our harvest and not sell without a plan." As a result, Gertruda has seen her soybean profits jump from $30 to $180 a year. The added income has helped her rebuild her thatch-roofed home, which was damaged in a kitchen fire. 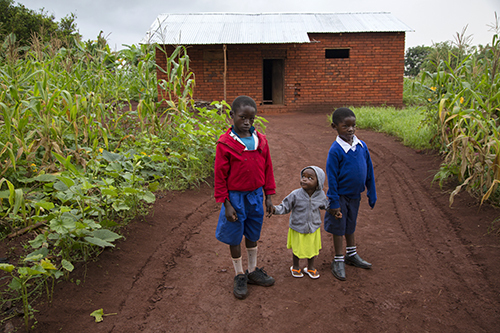 Her new home is built with brick and a fire and leak-resistant iron roof. She can also afford better food for her family. "The [advantage] of belonging to a group is the market is almost guaranteed," Gertruda says. "The committee bargains directly with the buyer and agrees on a good price. If we disagree on the price then we don't sell our soya, but if we do agree with them, the buyer is allowed to come and purchase our soya." While she and her family dine on porridge and roasted corn, Gertruda imagines a future transformed by soybean production. She has learned that soybeans add nitrates to the soil that improve crops like corn. And because she earns more, her family eats better. "The project is helping all of us … from the children to the grandchildren, starting with me. We can now manage to cater for our daily needs …. We get enough food without any problems. 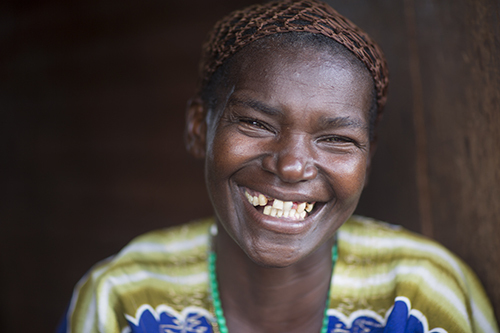 "I encourage my neighbors to join the Soy ni Pesa project so they can also improve their income," Gertruda says. "The project will help them move from poverty by increasing their [profits] and therefore change their lives for the better."